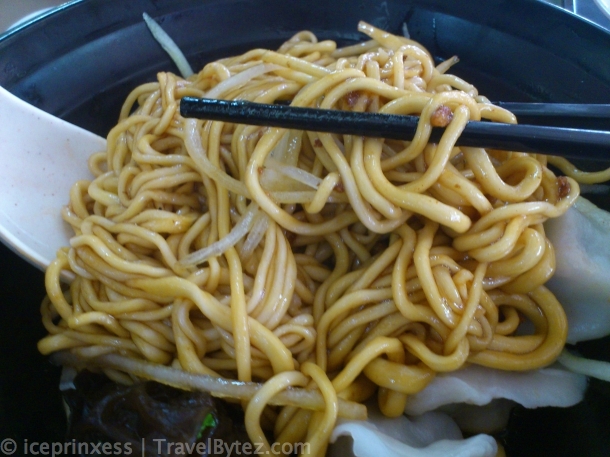 La Mian is a type of Chinese noodles that is usually hand-made by stretching and folding the dough into long strands. 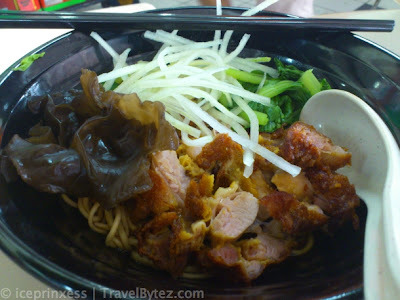 There are various types of la main (ramen) and the thickness all varies. 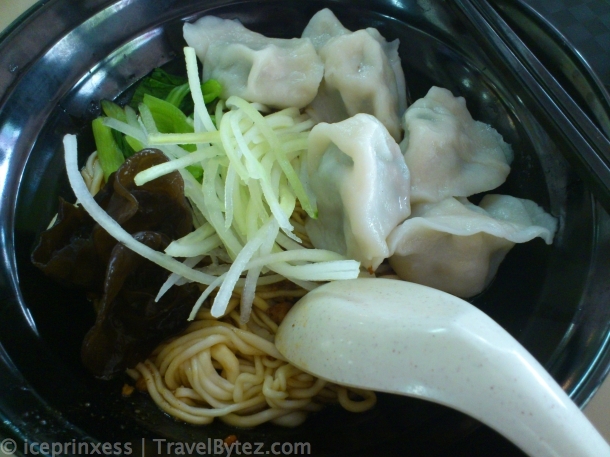 La mian stalls are plenty in Singapore, and almost every food court has a stall selling this noodles in various soups (tom yum, pork/ikan bilis broth etc…) or dry. 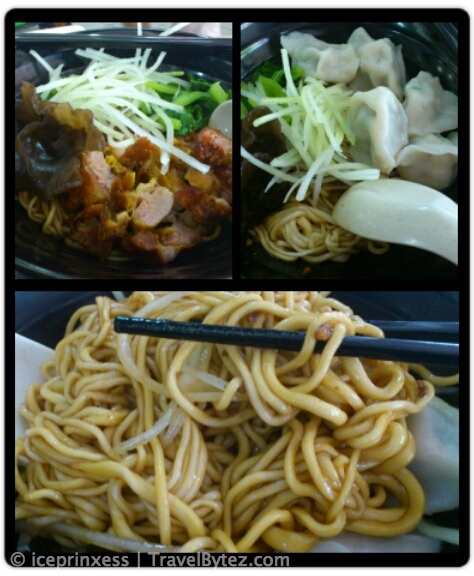 But this is my first time eating la mian noodles that are not only hand made, but of different thickness. I had to opportunity to try the la mian at 洪鹏杠拉面 located at Food Park (a food court) located at Tampines St 81 Blk 823A. Located in the suburbs, this food court is not equipped with any air-conditioning, but the food is worth sitting through the heat (if it unfortunately happens to be a hot day). You might think that it is not that popular a store as there is no queue, but it turns out that they have a unique ordering system of getting the customers to come back later to collect their noodles instead of standing in queue and just waiting till the food is done. 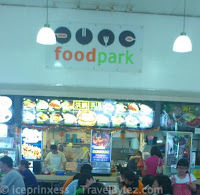 Usually in Singapore, if you see a long queue, especially when it comes to food, there can only mean two things: either the food is really worth the wait (and that good), or the ones preparing the food are just slow (and the food may or may not be good). There were quite a few options to choose from, but I finally settled on the dry dumpling la mian, while my friend had the dry chicken chop version. It was pretty nice and I wouldn’t mind going back! My friend has been eating there for some time, so it is through her recommendation that I managed to eat such nice noodles.